Clearly the situation has changed with Hebden Bridge being the first 'Walkers are Welcome' town and being a known centre for walking, the fact it doesn't come through Hebden Bridge and Heptonstall now looks quite perverse. A 5km walk up to Kilnshaw Lane, below Stoodley Pike and then back down the Pennine Way towards the Calder Valley, turning off onto the Hebden Bridge Loop (also Pennine Bridleway at this stage) to Horsehold and down into Hebden Bridge and the town centre. We then walk 2km mainly on packhorse paths from Heptonstall to Hebble Hole - rejoining the Pennine Way. Why produce a route into Hebden Bridge? 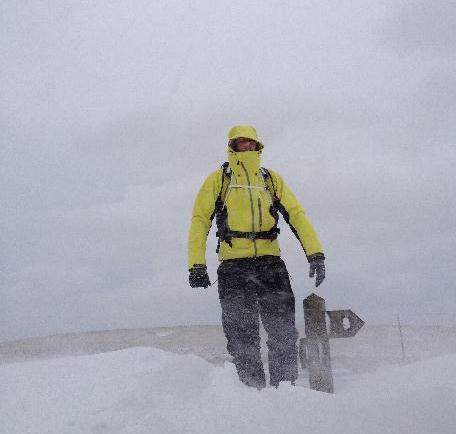 Several thousand people walk the Pennine Way each year with many more doing day walks. A small number do visit or stay in Hebden Bridge and they often ask how they get back on the route (reported by Hebden Bridge Hostel). If a good percentage (20%?) 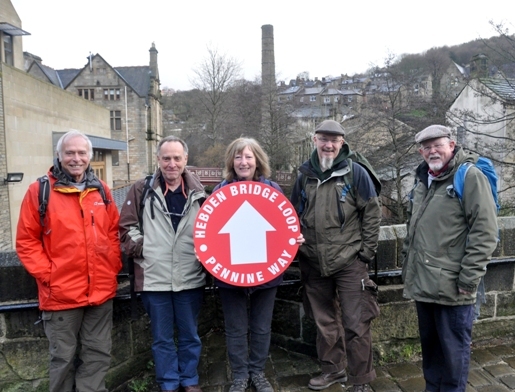 of these Pennine Way walkers stayed or visited Hebden Bridge, it would have a significant impact of the local visitor economy. This is also true for Heptonstall although accommodation is quite limited at present (but some more on the way). It would also really establish Walkers are Welcome in the area. This is a one off opportunity, it would be a shame to miss as it would have the potential to transform the walking profile of both Hebden Bridge and Heptonstall. We hope to raise the rest through contributions from local businesses and individuals. Problems with gates and stiles etc. Send your feedack to info @hbwalkersaction.org.uk - just remove the space after info. We will only pass on your email address to CROWS who will go and fix the problem. This was taken at Swillington below Stoodley Pike in 2013. You can just about make out the top of the finger post! 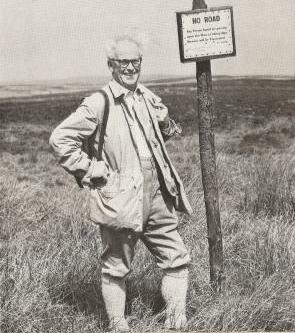 We have been collecting some archive materials about Tom Stephenson the creator of then Pennine Way.